Avodah Consultants » What is Enough? When is it Enough? Home UncategorizedWhat is Enough? When is it Enough? What is Enough? When is it Enough? The caption above was sent to me a few weeks ago by a dear friend and I have been mulling over it since. It has made me question my dreams, goals and motivation. Why do I do what I do? What is my motivation? 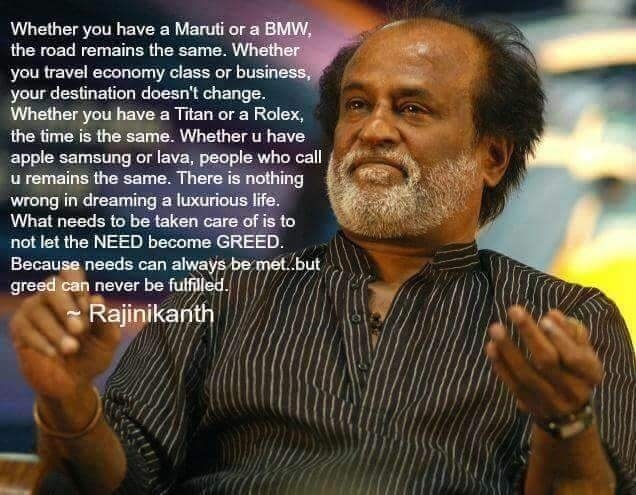 Is it enough to just meet my needs and if I reach out for more than my needs is it greed? Think about your own life. Where are you dissatisfied and feel the need to get more? My guess is that a potential source of discontent is a result of comparison. · you want to be in the future (aspirations and goals)? · you were in the past (reminiscing about the “good ol’ days”)? · you thought you would be already (your expectations and those of your family, society, and others)? · others are today (comparison; keeping up with the Joneses)? When reality falls short of societal, religious and economic expectations, we often have an experience that something is wrong. Things shouldn’t be the way they are. This leaves us disappointed and upset. Take money as an example. Studies show that satisfaction it’s not based on the “absolute” amount of money you possess. It is determined more so by how much money you have “relative” to what you want. Your financial aspirations are driven by how much others have, how much you think you should have, how much others (e.g., a spouse) expect you to have, and so forth. Even if you are successful in hitting your financial goals, the more you make, the more you adapt, and therefore the more you want. Higher income levels provide only fleeting happiness, and is typically replaced by the desire for more. · How many twitter followers we have compared to others (or how many we think we should have). · How much publicity we get compared to others (or how much we wish we had or have received in the past). · How many accolades we receive compared to others. · How many prospects return our calls compared to our expectations or past successes. · I should weigh less. · I should make more money. · I deserve to be treated better. · I wish I had a different job. · Why does everyone else have more than I do? Of course a gap between the current state and our desired future state does not always cause dissatisfaction. Sometimes it can be a source of motivation. But even in those situations, our future aspirations can be a distraction that causes us to miss the beauty of the here and now. According to a survey, 61 percent of the population finds themselves saying, “I will be happy when…” Their happiness awaits them in the future. As a result, they get so focused on where there are going that they speed past where they are. But what if you could savor each moment? What if each moment was exactly as it should be? To be clear, I am not suggesting lowering your expectations. It is calibrating to “reality” so that you can powerfully deal with those circumstances. Although society tells us we should work to “have what we want,” satisfaction in life is derived from “wanting what you have.” Although it may not always be easy to experience life as “perfect,” it is possible. It is obtained by having a deep appreciation for what is rather than what isn’t. And like anything, this takes practice. According to another survey, 58 percent of the respondents said that they are “dissatisfied with their lives.” This is a lot of people. Are you one of them? 76 percent believed that despite their success, they feel that something is missing from their lives. Maybe the issue is not one of success. Maybe it is about the perception of success.